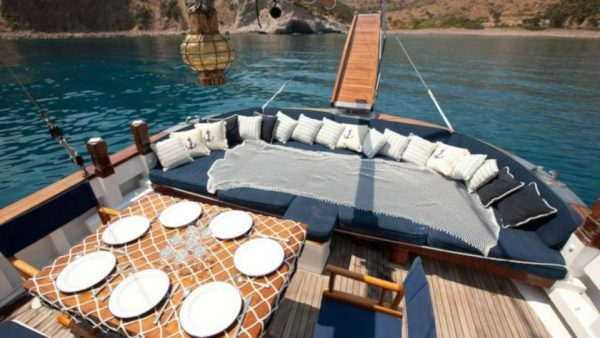 The 33m Custom gullet Motif was built in 2000 by Agantur Yachting and is based in Turkey. 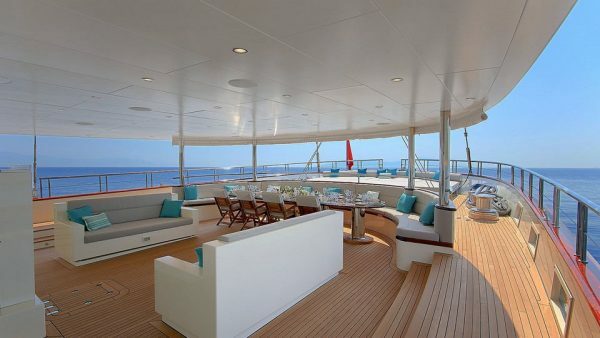 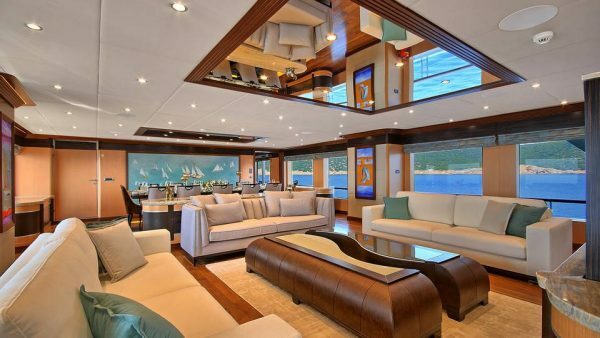 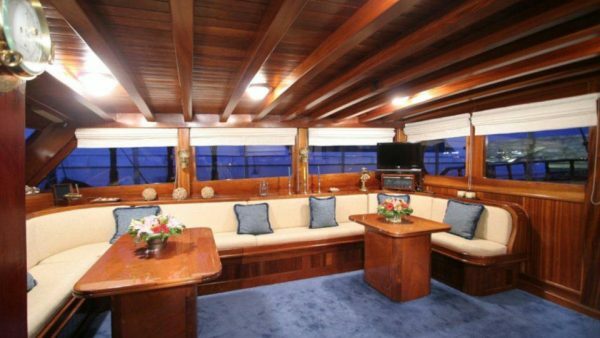 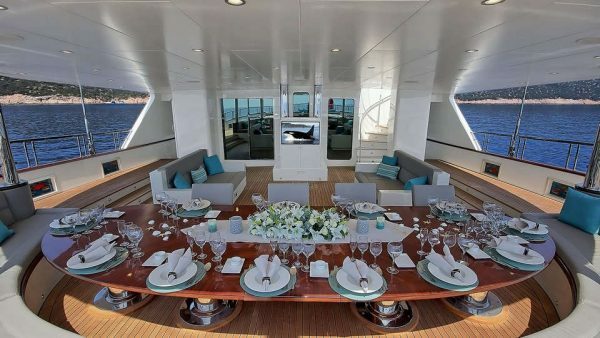 The yacht’s interior has been designed by Gunes Ozkalay. 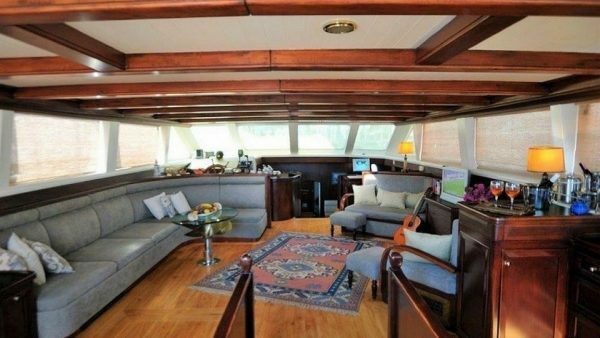 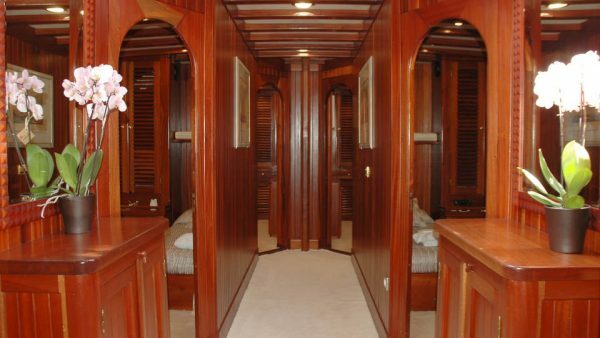 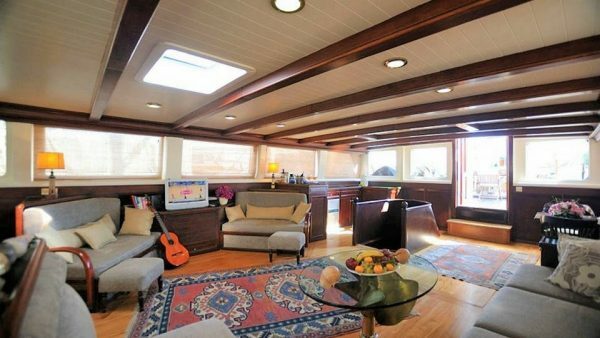 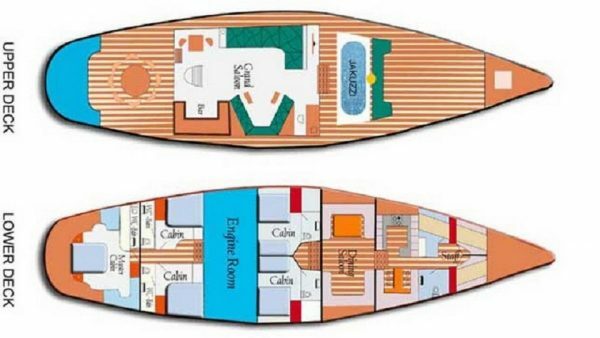 She presents a nice layout of five spacious cabins, including a Master suite, two double cabins and two Twin cabins. 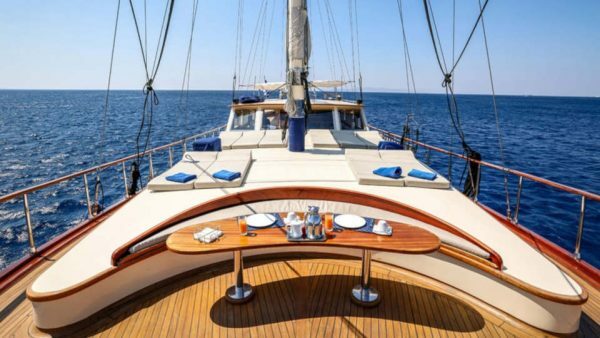 Meira, a brand new luxury 50m motorsailer built by Neta Marine to exacting standards with every facility imaginable onboard, is ideal for cruising to the East Mediterranean! 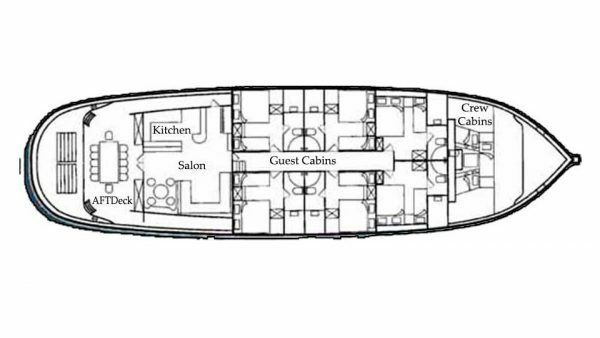 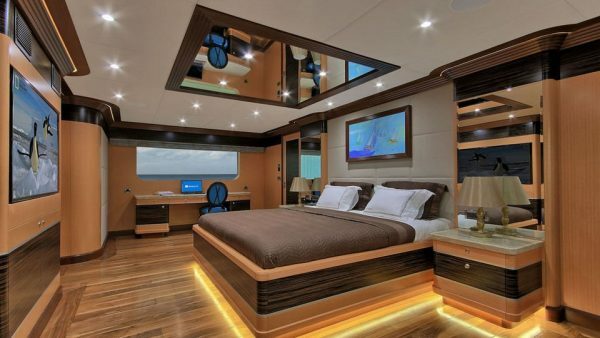 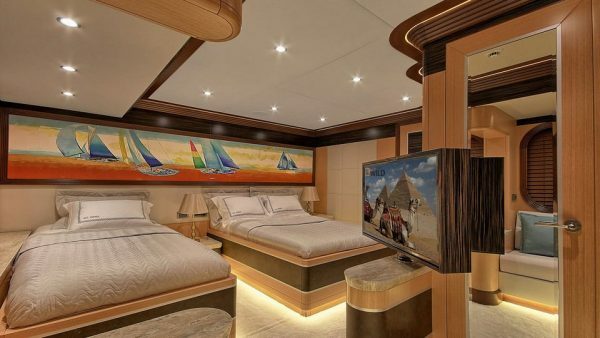 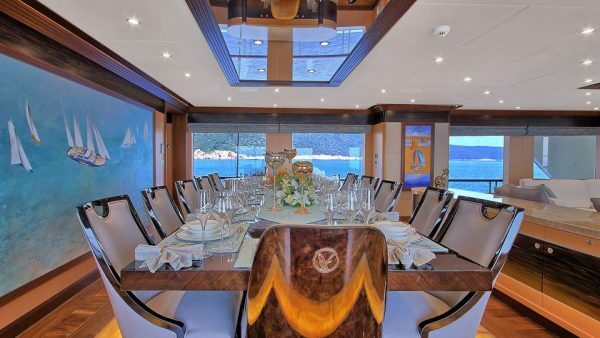 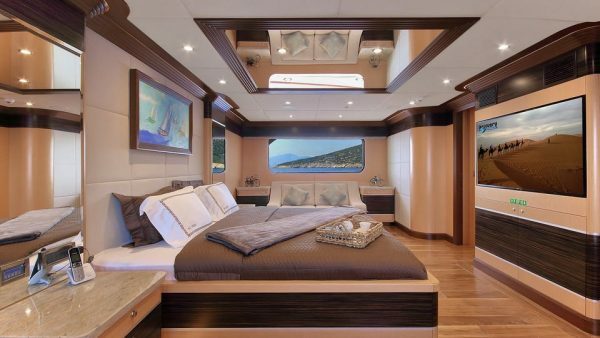 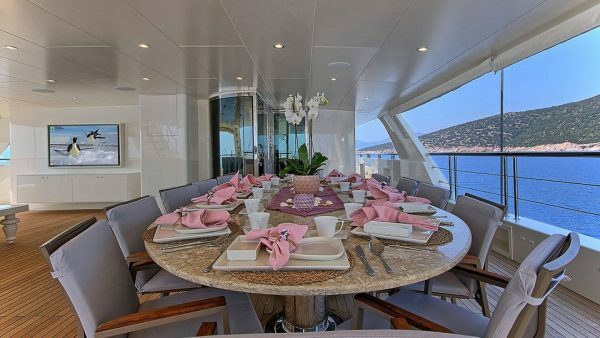 She presents six lavish cabins that accommodate up to 12 guests. 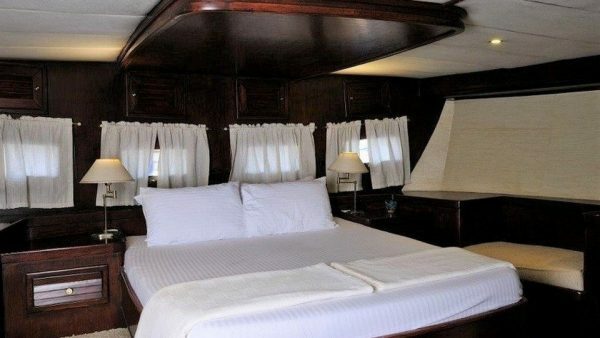 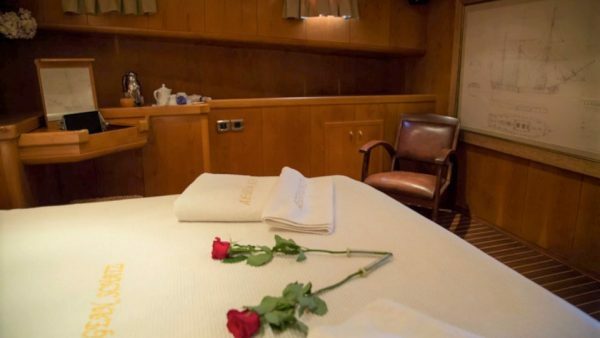 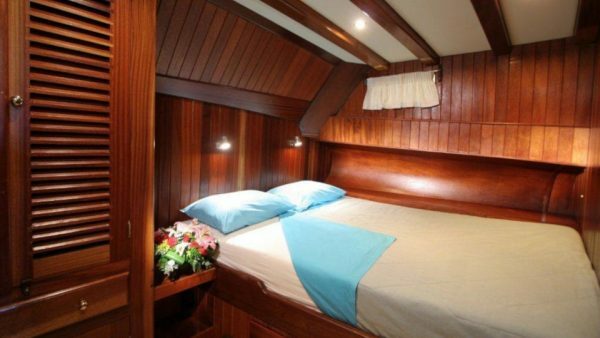 One spacious Master cabin on the main deck with king size bed, three VIP cabins with queen size beds and two Twin cabins. 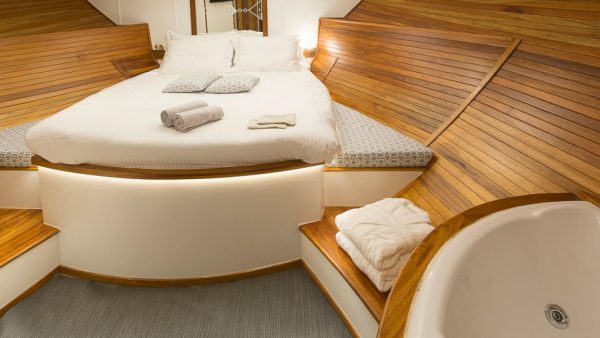 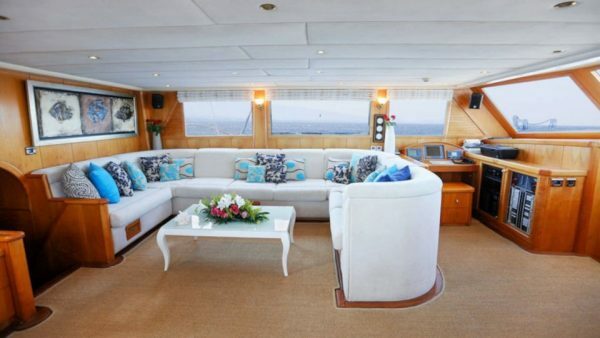 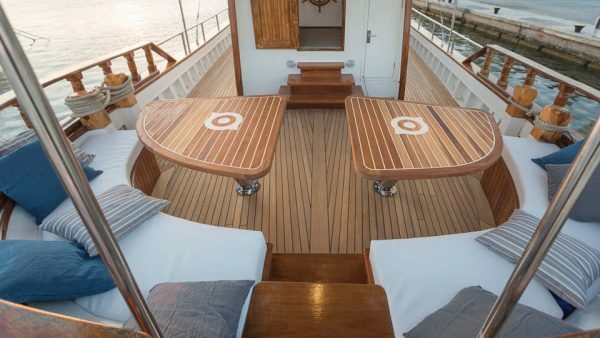 Guests can relax on her large saloon on the main deck or take a refreshing dip in the Jacuzzi on the flybridge deck. 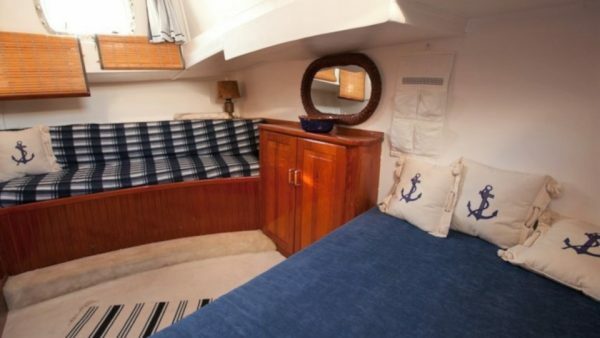 Matina was built in 2000 and had a complete refit in 2004. 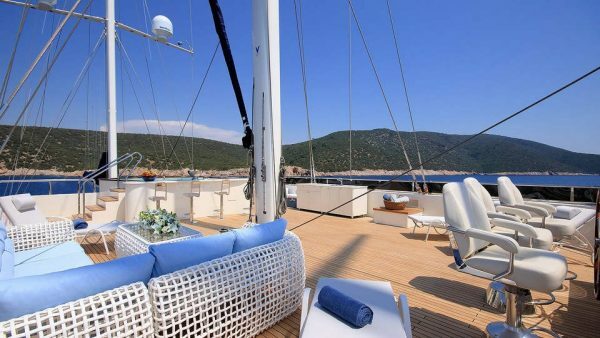 Guests onboard Matina will be impressed by the large interior spaces and the sundeck which provides ample space for sunbathing and relaxing on large cushions. 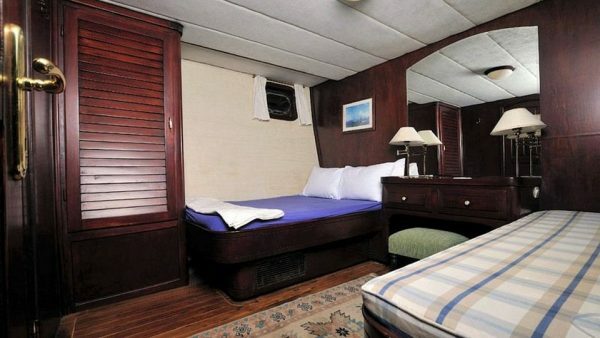 Her professional crew of six provide an excellent service and will make the trip unforgettable! 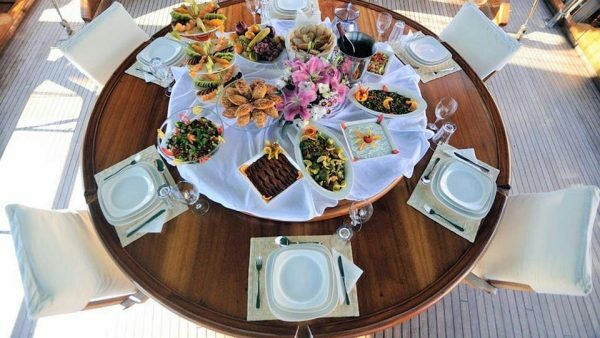 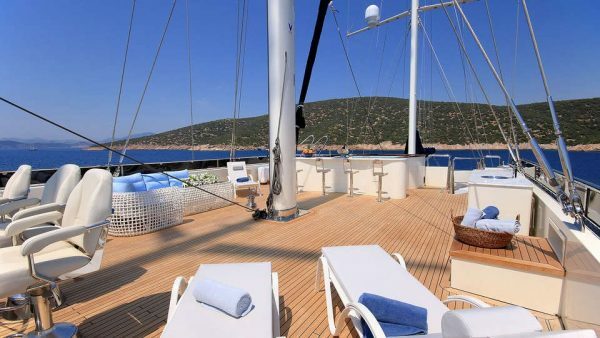 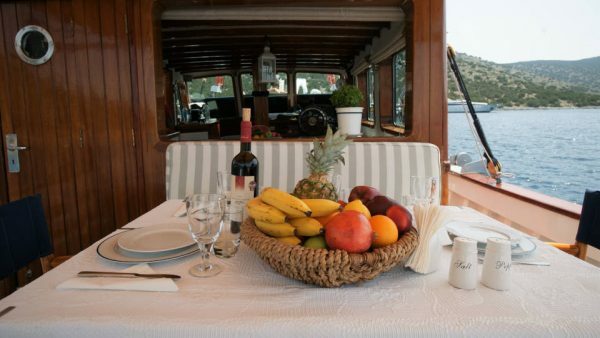 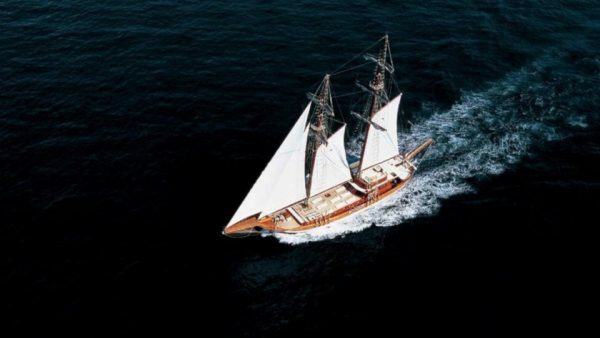 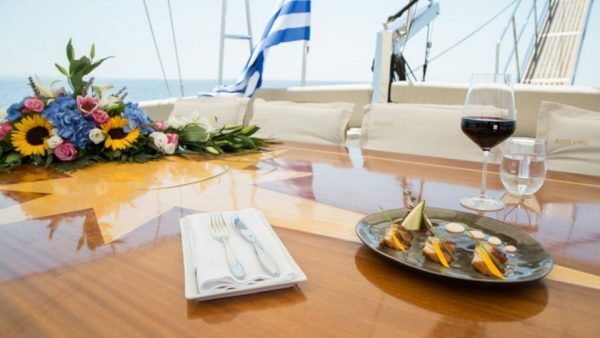 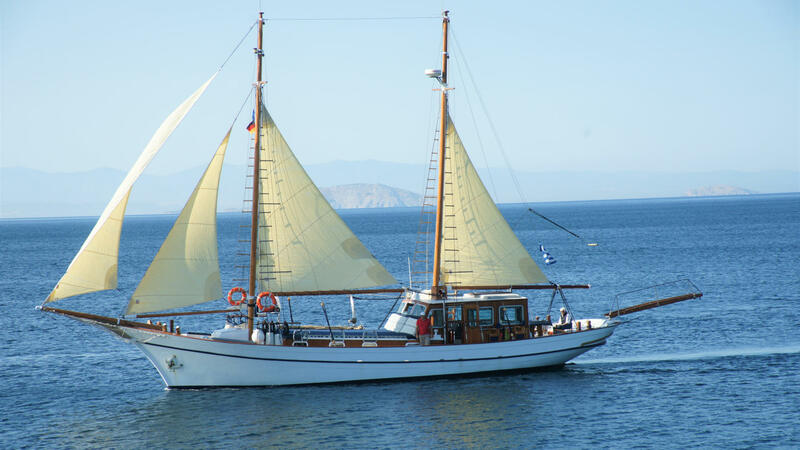 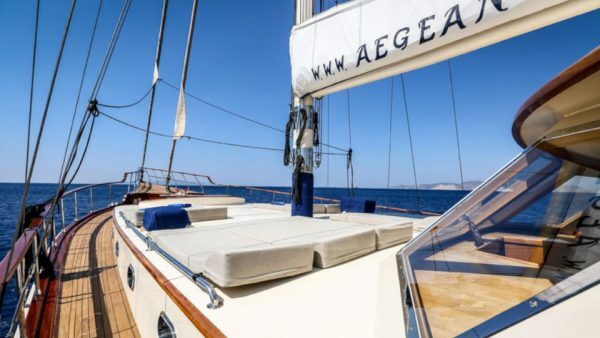 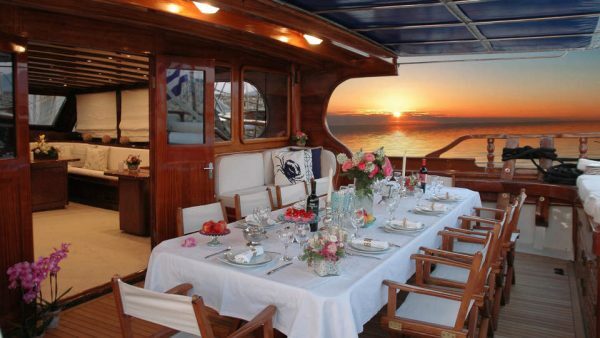 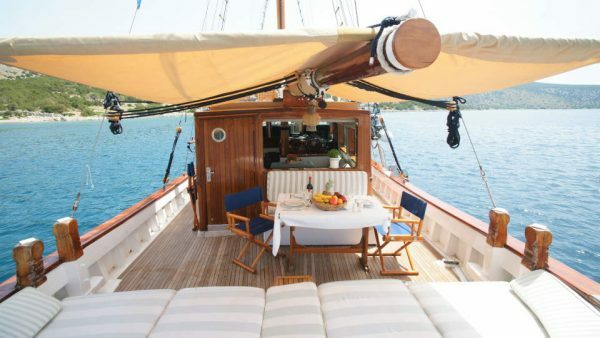 Eleftheria offers her guests a unique experience of sailing among the picturesque Greek islands. 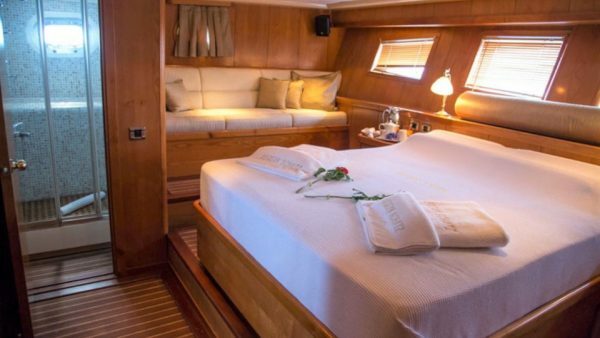 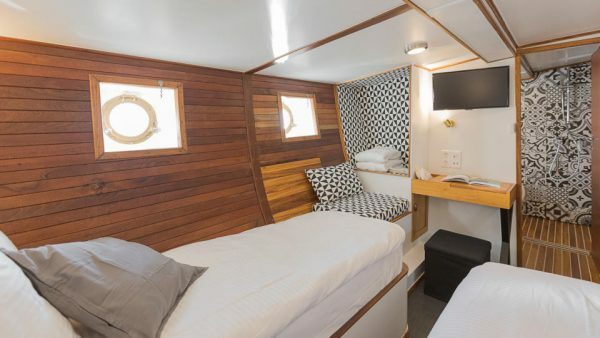 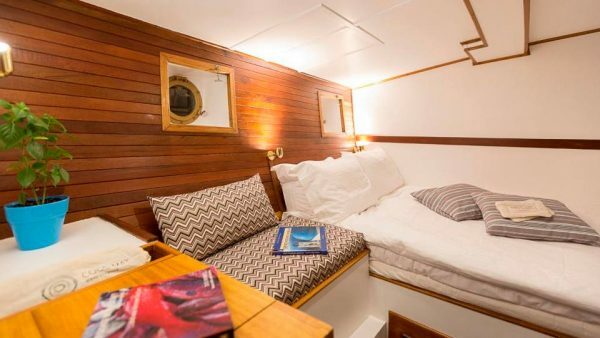 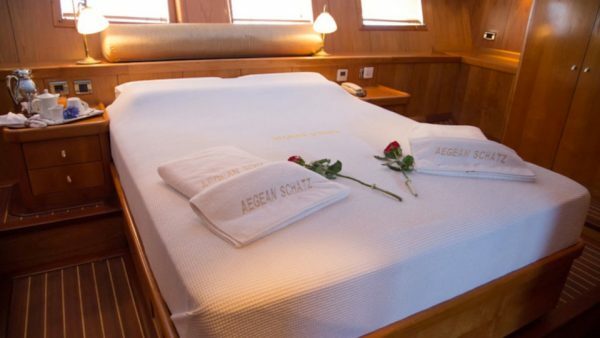 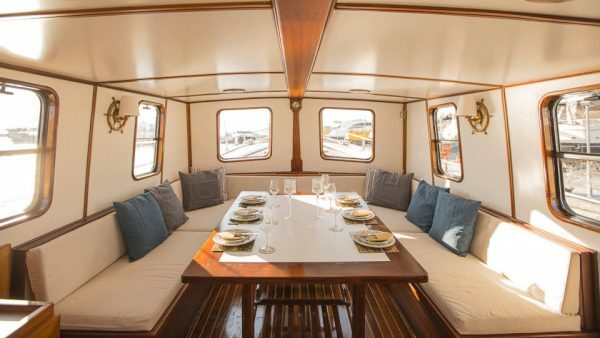 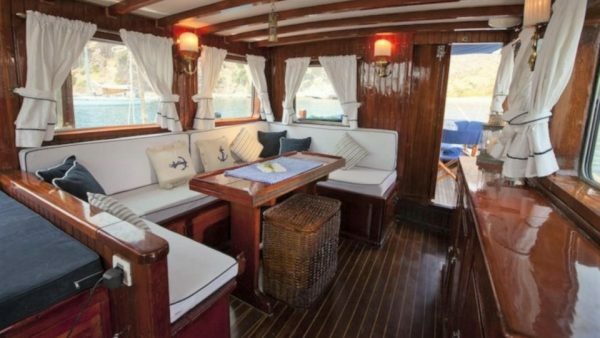 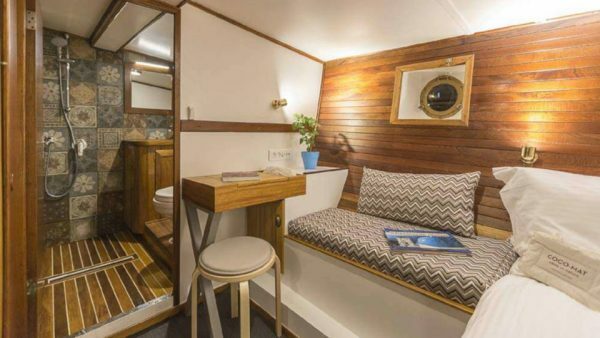 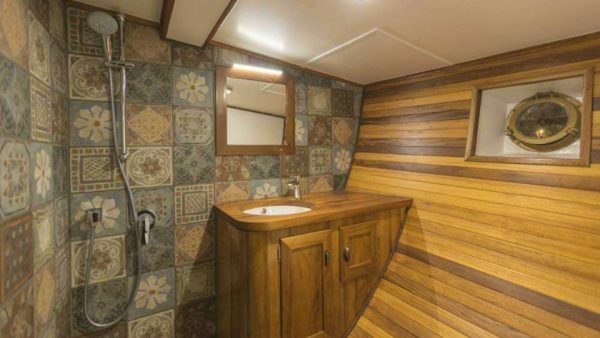 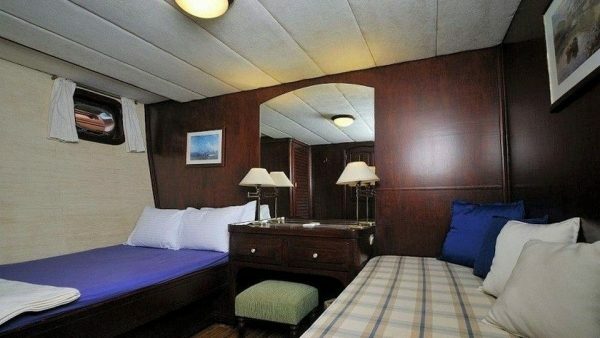 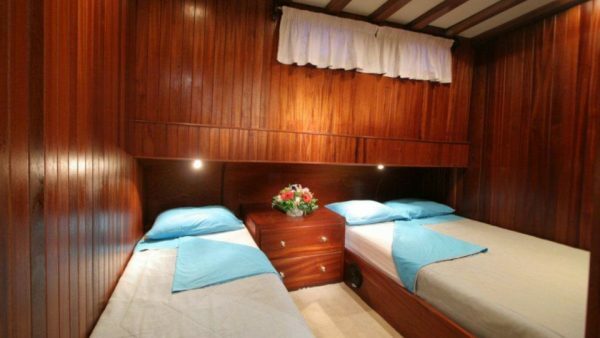 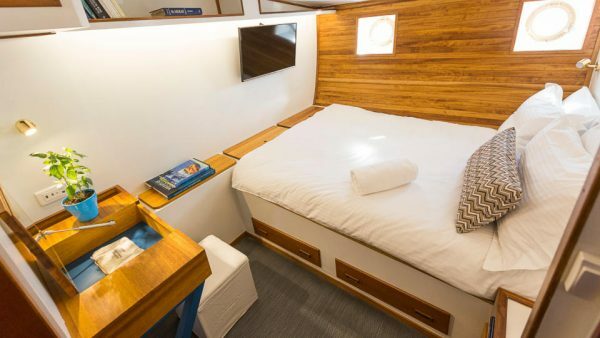 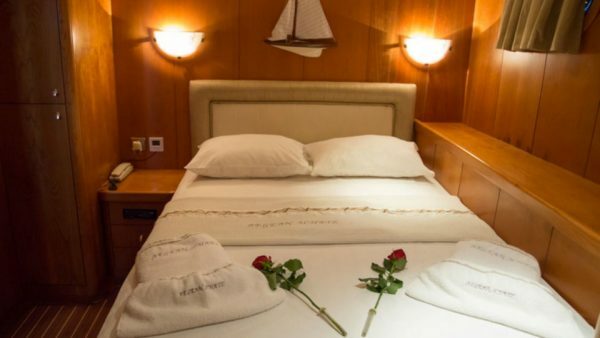 An exceptional traditional motorsailer built in the Mavrikos Shipyard on the islands of Syros, she presents three comfortable cabins accommodating up to six guests. 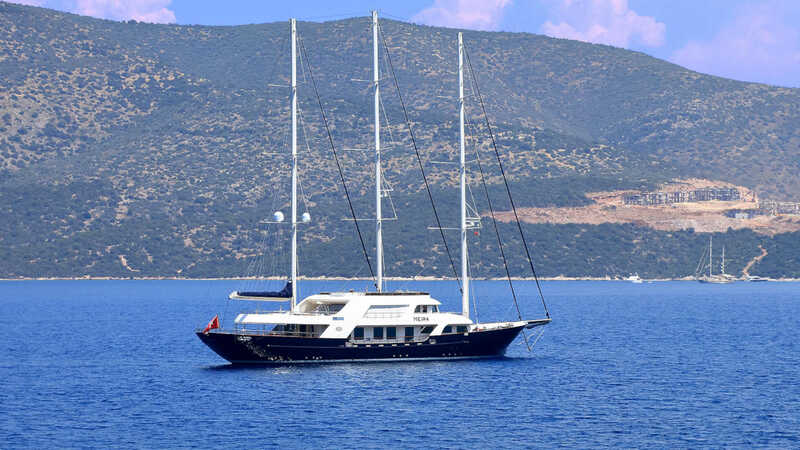 She exceptionally combines impressive graciousness with maximum comfort. Cosmos was built in 1979 by the Greek Mavrikos Brothers Shipyard. 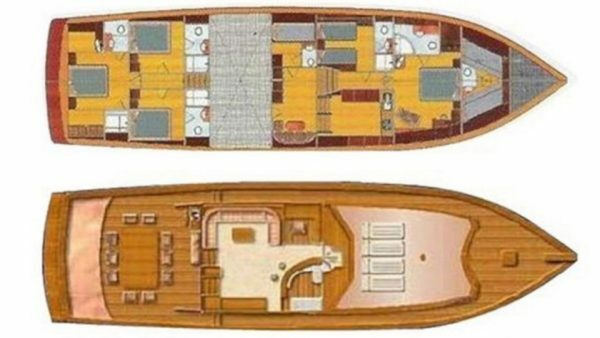 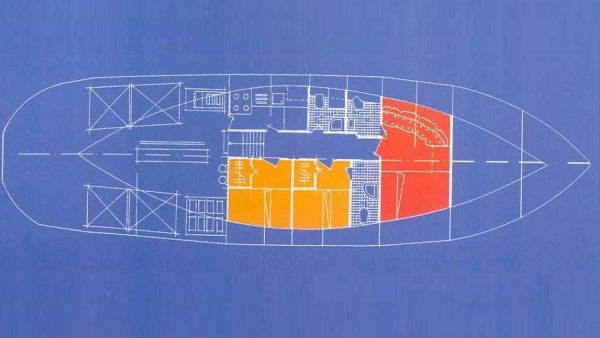 In 2015 the hull was reconstructed and in 2016 the interior and deck remodeled! 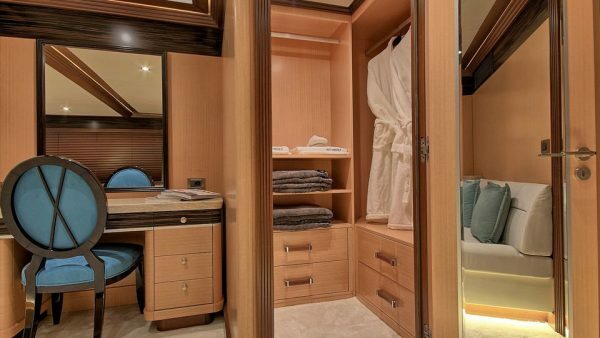 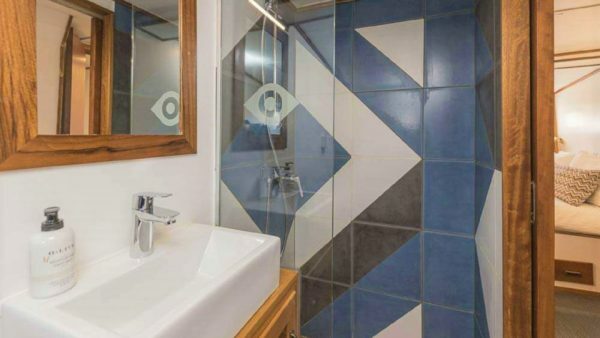 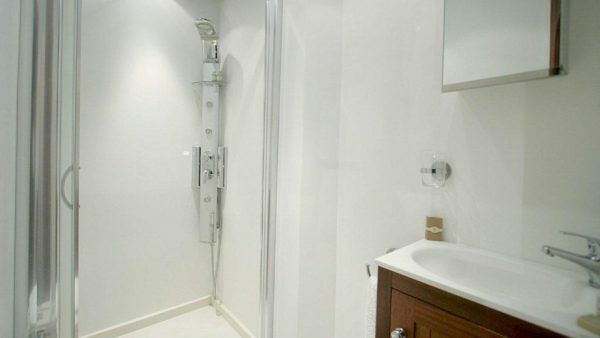 Cosmos presents luxurious and high-end accommodation in four beautiful and really stylish cabins, all air-conditioned and with deluxe ensuite facilities. 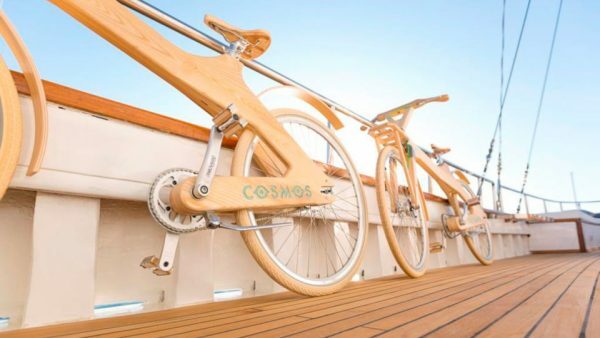 Guests will really enjoy her facilities including COCO-MAT wooden bicycles! 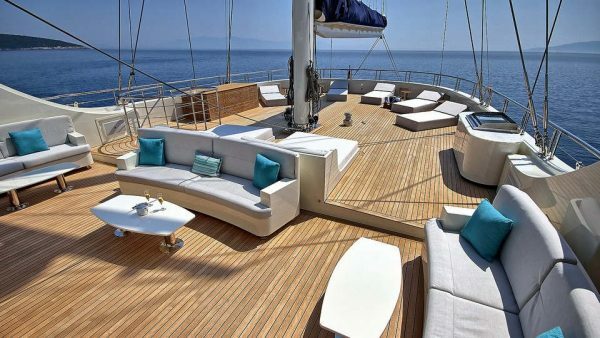 Sailing yacht Aegean Schatz, built in 2006, presents a minimal interior with five stylish cabins. 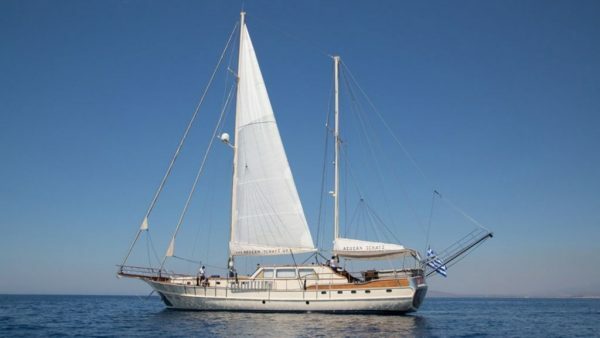 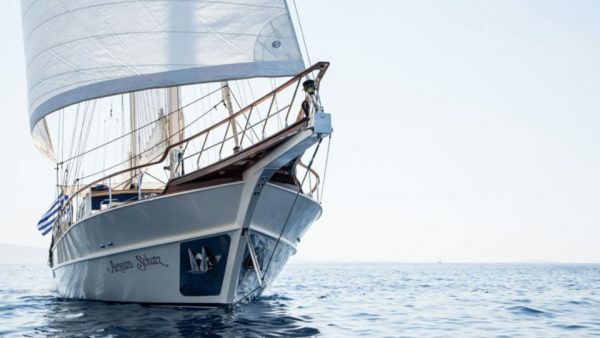 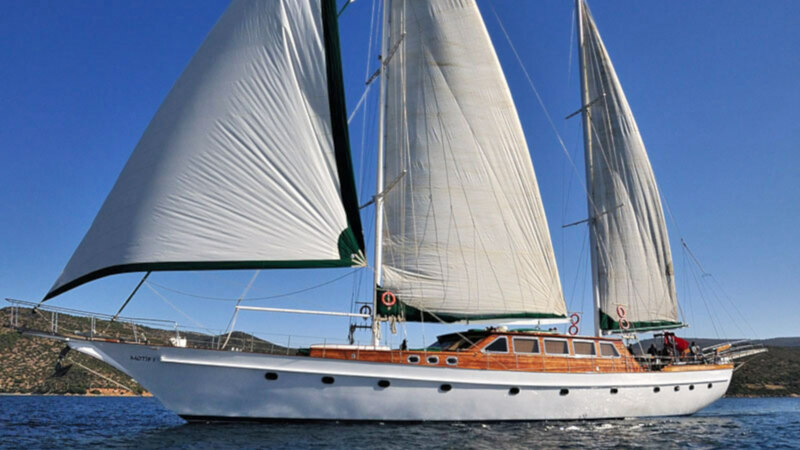 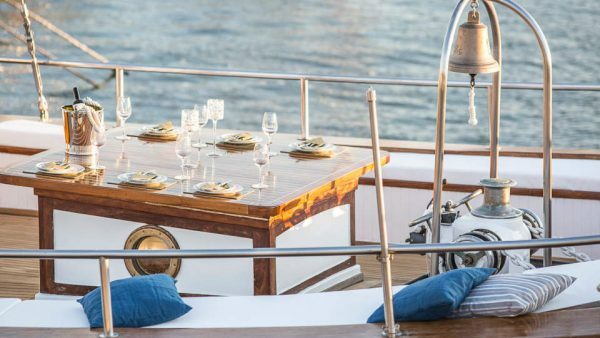 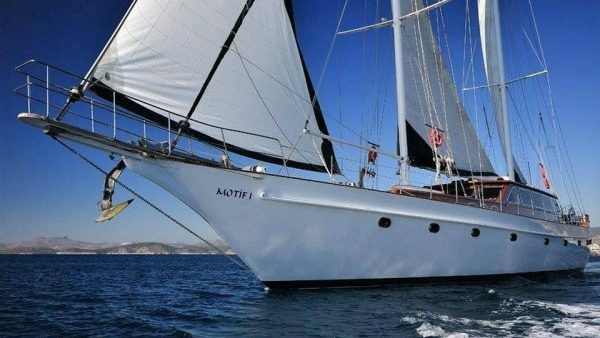 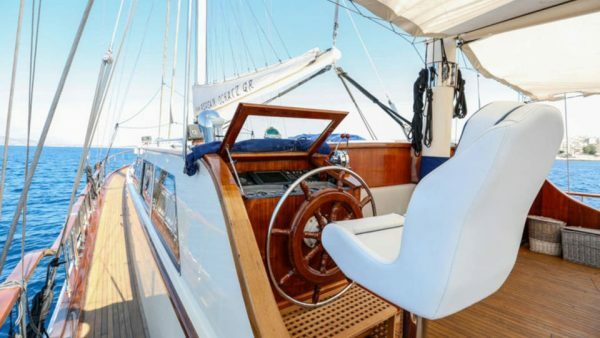 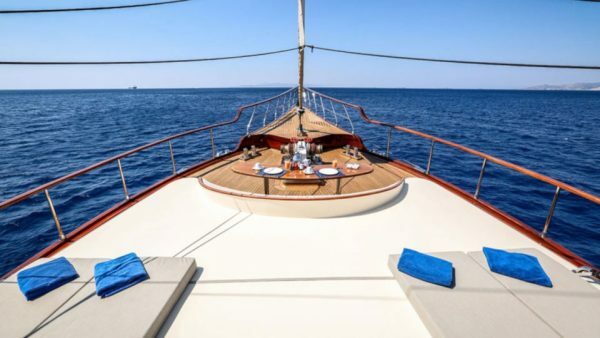 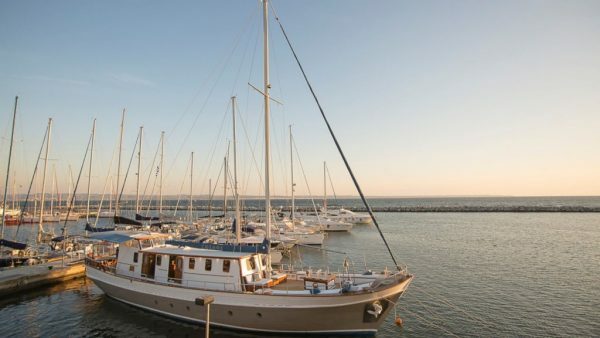 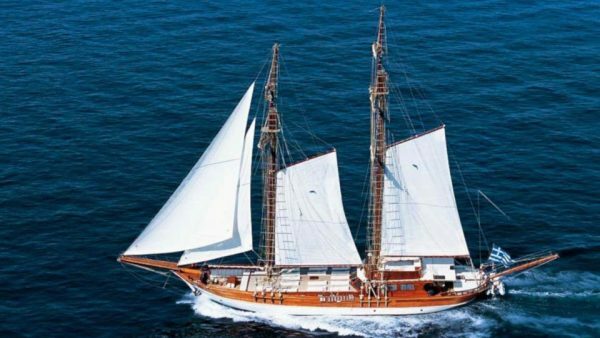 This Turkish gullet is ideal for a comfortable sailing adventure in the Mediterranean since it combines the highest levels of service and luxury with the latest sailing technology.